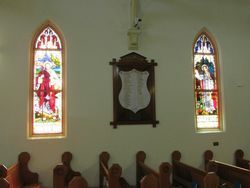 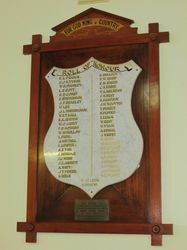 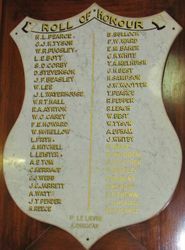 The Methodist Church Roll of Honour commemorates those from the church who served in World War One. 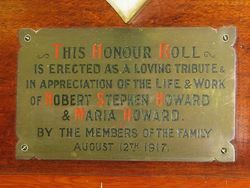 The roll was presented to the church by members of the Howard family as a tribute in appreciation of the life and work of Robert and Maria Howard. 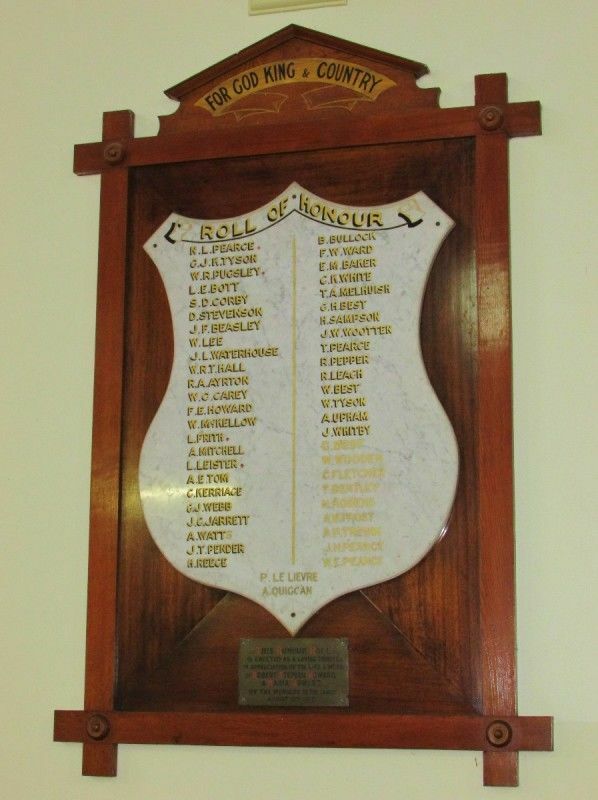 The roll replaced the original Honour Roll of hand-painted white satin which was unveiled on the 16th April 1916.